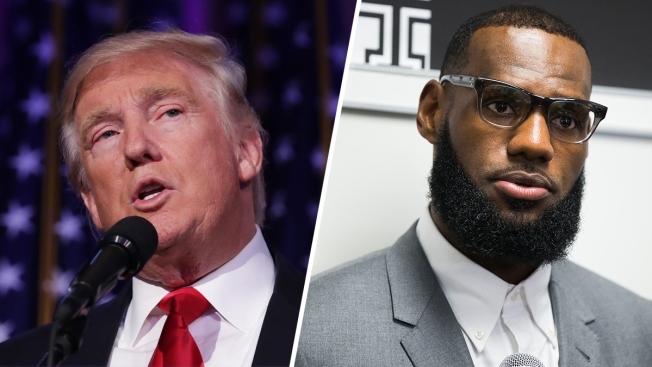 President Donald Trump insulted NBA star LeBron James from afar but passed up an opportunity to criticize him on his own turf, sticking to Democrats, the news media and other familiar targets during a campaign rally Saturday night in James' home state of Ohio. A few days after LeBron James' iconic mural in Cleveland was taken down, a new one has been painted in his new basketball home, Los Angeles. James agreed to a new contract with the Lakers last week. The former 4-time MVP is headed out west for the first time in his career.